January | 2015 | Small Farmers. Big Change. This is the final post in a three-part series. If you missed the first parts, you can read part 1 here and part 2 here. 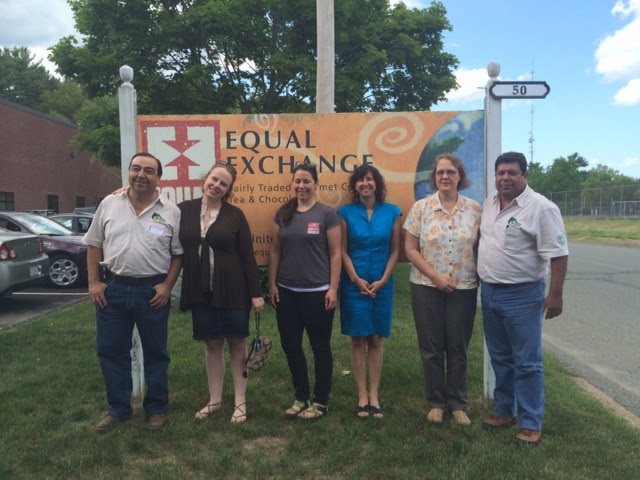 For the past few days, we’ve been sharing how Equal Exchange‘s work as a fair trade avocado importer reflects our vision for transforming the way Mexican produce is grown and exported to the United States. Today, we want to outline what we think needs to happen to make this transformative model a truly sustainable model for each stakeholder in our supply chain. When we think about a thriving fair trade avocado program, we think about the local produce programs that so many co-ops, natural food stores, and distributors have committed to. Local programs embody many of the values we highlighted in Part II. That store is likely supporting a farmer who is operating on a smaller scale than large agribusinesses growing tomatoes in Mexico. The store probably has a relationship with that farmer, and is able to ask them direct questions about their product. The store doesn’t price the local, heirloom tomato like a conventional tomato from Mexico. The price most likely reflects the social and environmental costs associated with producing that tomato, and consumers are educated to understand why the tomato costs what it does. The store probably highlights the tomato grower in print materials to help make deeper connections between their shoppers and the tomato grower. If consumers have questions about the farmer’s practices, the store is able to help answer them. We’re asking you to join us in building something similar with PRAGOR’s avocados. Commit to sourcing and purchasing only fair trade, organic avocados from small-scale farmers when they are in season. Think of a fair trade, organic avocado as a fundamentally different product than a conventional avocado, and have your prices reflect that. Educate consumers and peers about how these avocados are different and why there’s a need for them. Ask questions about suppliers, producers, and their supply chains. Push for all supply chains to be more transparent. Choose to support supply chains that have integrity. We know these aren’t easy asks, and we don’t expect this to happen overnight. In the produce industry, importers, distributors, and stores are constantly responding to consumer demands. 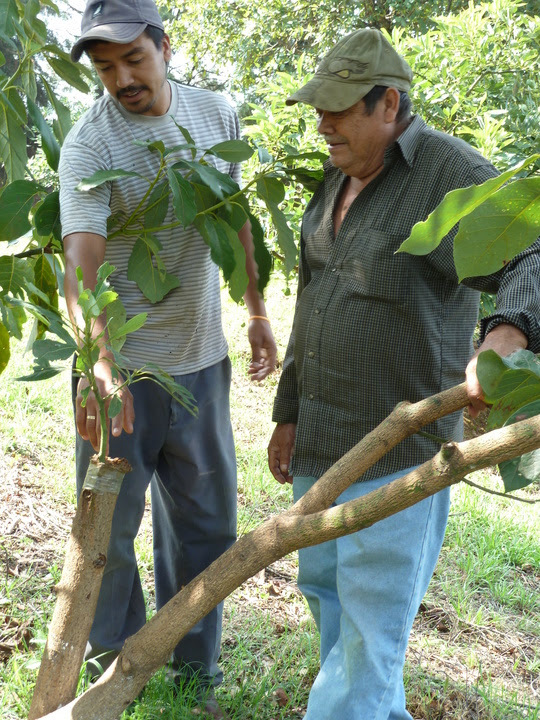 But if we really want to build a successful model for small-farmer, fair trade avocados, we have to flip that dynamic. And we have to take risks. As stakeholders engaging with this alternative supply chain, we must actively work together to generate consumer demand. It’s the only way to turn our vision for a more just and sustainable food system into a reality. This is the second post in a three-part series. If you missed the first part, you can read it here. On Friday, we introduced you to Equal Exchange’s vision for transforming the way Mexican produce is grown and exported to the United States. Today, we’re going to dive deeper into our ideas for a more just and sustainable food system by talking about our experience importing avocados from Mexico. In September of 2013, we imported our first container of fair trade organic avocados from PRAGOR, a producer coop in Michoacan, Mexico. We had visited them that summer and saw the challenges they were facing as small-scale producers, despite the increase in demand for avocados from Mexico. The stories they shared demonstrated the need for a trade model that is drastically different from the way conventional Mexican avocados are grown and exported. Building that trade model has been challenging. That is because when we transform something, we start from scratch, moving beyond what has worked in the past. We take a lot of risks in reconstructing the system, and it takes time to get it right. 1. Farmers owning their own land. PRAGOR is a cooperative of 20 producer members who each own an average of 10 acres of land, all 100% organic. 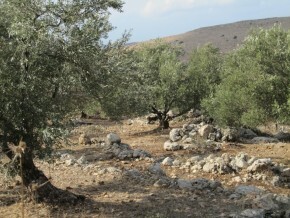 Many of the members transitioned to organic 10 or more years ago, a revolutionary move at the time. At Equal Exchange, we have seen that when farmers own their own land, they are more likely to take measures to ensure the environmental sustainability of the land. Owning land is inherently more empowering than working as a laborer on a plantation, and provides producers with greater economic security and opportunity. 2. Small-scale farmers having access to the global marketplace. Giant avocado agribusinesses have a heavy presence in the region where PRAGOR members farm. PRAGOR talks about how, for many avocado farmers, their only option is to sell their avocados to big companies. These companies pay low, and the price fluctuates greatly throughout the season. Producers do not have enough information or power to negotiate an appropriate price, and the multinationals take full advantage of this. By organizing into a cooperative, PRAGOR has built power for these 20 producers. They now have the infrastructure to export their avocados on their own, instead of being at the mercy of middlemen or corporate buyers. As a result, more money goes back to each farmer. 3. Having the real cost of food reflected in consumer prices. To keep farmers farming, we must recognize the need to pay higher prices for our food. 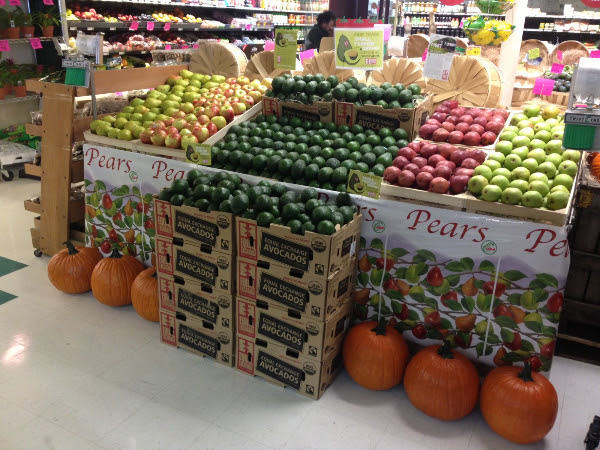 In the United States, consumers expect cheap produce year-round. But poverty level wages in Mexico are the cost of this relentless emphasis on bargains. It is critical that we start factoring the true costs of social and environmental sustainability into the price of our food. Fair trade minimums are one way to guarantee that farmers receive an adequate price for their product. 4. Connecting consumers with producers around transparent supply chains. The LA Times piece illustrated the lack of transparency in global supply chains. There were numerous quotes from large corporations that demonstrated a mentality of passing the buck on being accountable for their supply chains. At Equal Exchange, our mission has always been to connect farmers and consumers through our supply chain. And while our supply chains are often small and imperfect, we are committed to their integrity. We have open and transparent conversations about our supply chains, and we often bring multiple stakeholders from our supply chains together to talk about our work. Fact: 120 million pounds of avocados are expected to be sold in the United States in the days leading up to the Super Bowl. That’s about 5 million cases. 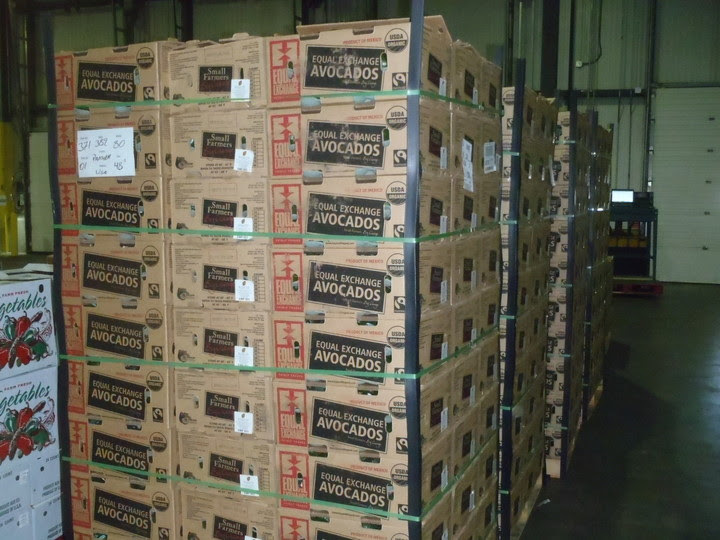 At Equal Exchange, we’re busy filling Super Bowl orders with our customers, but we’re also asking ourselves how our work importing Mexican avocados relates to issues illustrated in the LA Times piece about the Mexican produce industry. Reporter Richard Marosi traveled across nine Mexican states over 18 months, meeting with workers at the giant farms that export much of the produce sold in the United States. The result was a four-part series released in December that exposed the hardships that Mexican laborers endure, including poor living conditions and work without pay. Many people have responded to the article, calling for reforms to current trade policies and practices. As we reflect on our broken food system, we want to push the conversation beyond calls for reform. Instead of just reforming the existing policies and practices, we want to talk about what it would look like to truly transform the way Mexican produce is grown and exported to the United States. What do we mean when we talk about building a transformative trade model? Reform means taking what already exists, and then tweaking it. It means making amendments and revisions until it is better. But when we transform something, we start from scratch, moving beyond what has worked in the past and completely reconstructing the system. Reform is easier, safer, and faster;transformation is harder, riskier, and happens over time. This post is the first of a three-part series that digs deeper into this topic. Over the next few days, we’ll highlight our ideas for a transformative trade model and the role that our distributors, stores, and customers play in making this vision a reality. At Equal Exchange, our work partnering with PRAGOR, distributors, and stores to build a more just and sustainable avocado supply chain has been incredibly challenging. For the past year, we have all taken tremendous risks, and while our first season felt successful in many ways, we are still slowly figuring out how to make this a sustainable program for all stakeholders. In the grand scheme of things, our impact is small. PRAGOR represents just 18 farmers. We import small volumes of avocados for only a portion of the year. We sell these avocados to small stores. Our supply chain isn’t perfect. Interested in learning more about these values and how they’re reflected in our partnership with PRAGOR? Click here.